Learn how you can permanently hide search box on taskbar in Windows 10, so that you've enough space to pin apps. Hiding search box won't disable search. Cortana, one of the new features introduced in Windows 10, provides you enhanced search experience. However, some users are still not happy with Cortana and they want to use normal search – which they’ve used in previous Windows editions. We’ve already seen how to completely disable Cortana, so that you can perform only offline search. In case, if you feel that you don’t have enough space on taskbar to accommodate pinned icons, you may want to remove search box as it is eating up considerable space. Removing search box is easy to do manually. For that, you’ve to right click on taskbar and select Search/Cortana > Hidden. But if you’re on a multiple user system and others enable search box even if you set it to hidden, then this post is for you. Here, we’ll see the approach to permanently remove/hide search box, so that other users may not be able to enable it, until they have idea about registry editing. NOTE: Hiding search box/icon would not have any effect on search functionality and you can still use search any time you need it, by pressing + Q or + S or + C shortcuts. 3. In the right pane of Search registry key, look for the registry DWORD (REG_DWORD) named SearchboxTaskbarMode. By default, the DWORD may be having a value set to 2 that means both search box and icon are displayed. Double click on this DWORD to modify its Data. 4. Finally, in Edit DWORD Value box shown above, change the Value data to 0. Setting the Data to 0 means neither search box nor icon will display. FYI, setting the Value data to 1 will let Windows display search icon only. 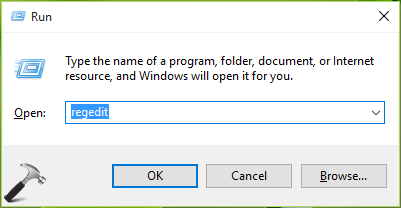 Click OK. Close Registry Editor and restart File Explorer/Windows to make changes effective.